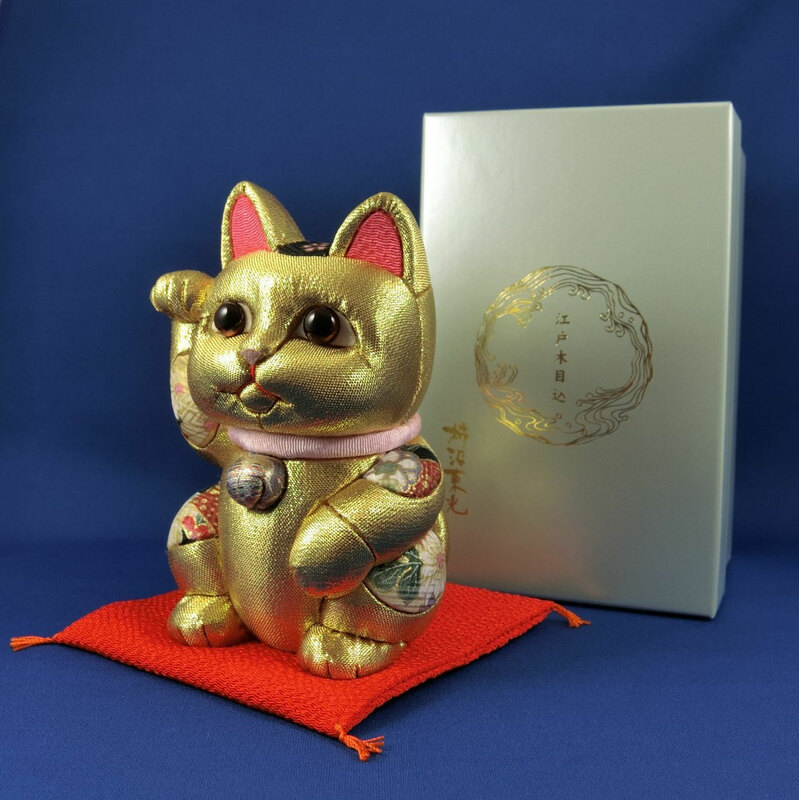 "Maneki-neko" or "Lucky Cat" has been loved by many Japanese people since the ancient times, as a good luck ornament that brings luck and prosperous business. 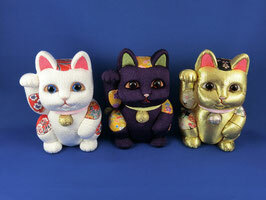 The cats with their right paw up are said to bring in economic fortune. 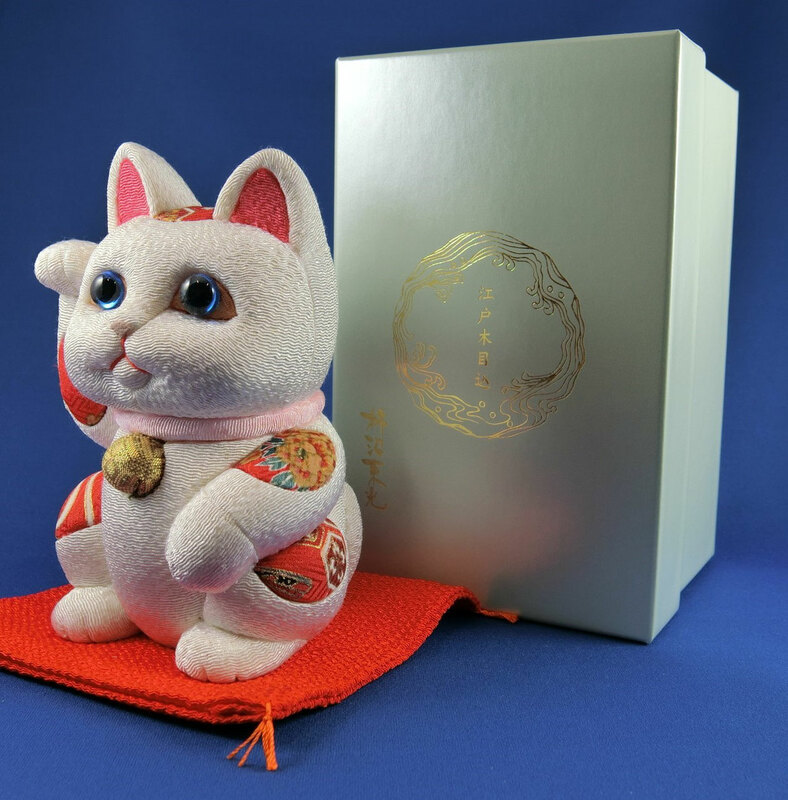 In Feng Shui, different colors have different meanings, with WHITE is meant to be purity, happiness and relaxation, PURLE being the bringer of wisdom, knowledge, intuitive capabilities and self realization, and GOLD considered to bring wealth, prosperity and good fortune. 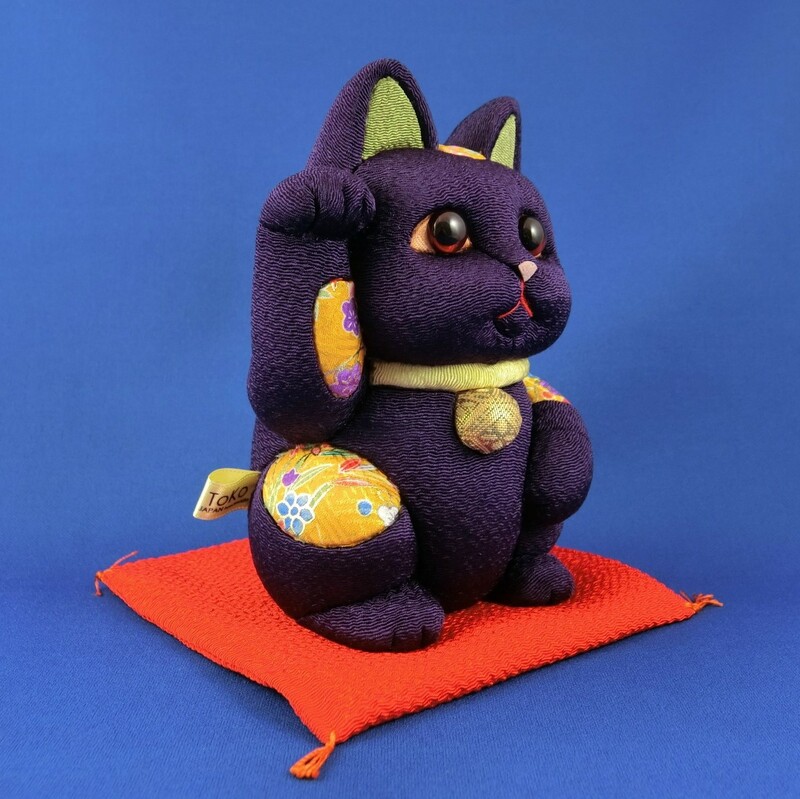 One of the classical Japanese doll manufacturers, Kakinuma Ningyo has created a new world of "Lucky cat" by using a traditional and artisanal doll-making techniques,"Kimekomi" method. 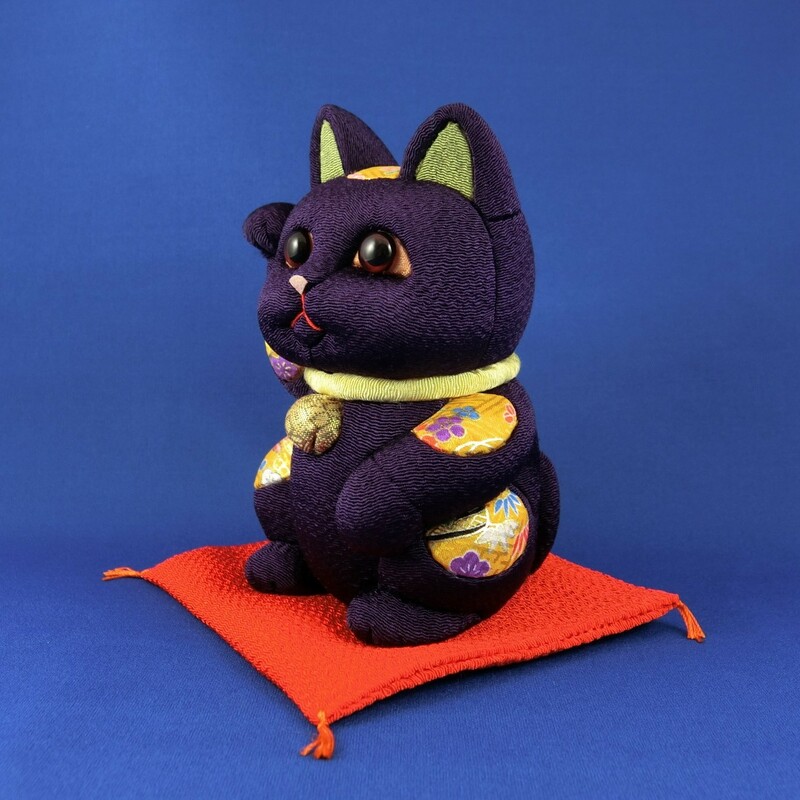 This 13cm-tall maneki-neko wears a bright piece of high quality hand-sewn clothing made from “chirimen” crepe fabric, the patterns with traditional and brilliantly colored motif. The living room is a perfectly suitable setting for it and adapts well to modern life. And of course, they are ideal as gifts for wishing good fortune to friends and family. 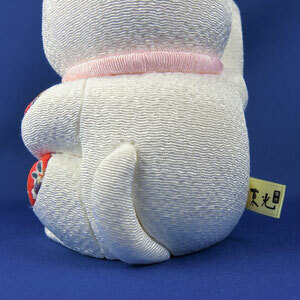 This almost perfectly round, plump, and happy-looking body exudes an air of adorableness. 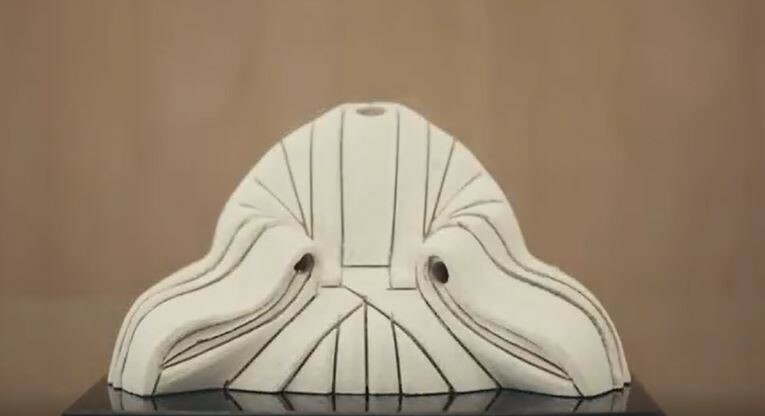 Also looks very charming from the side or back. 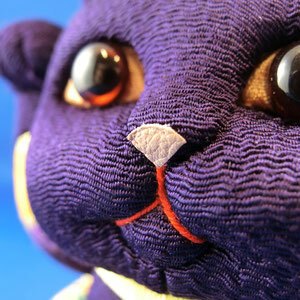 Its round and chubby shape merits attention. 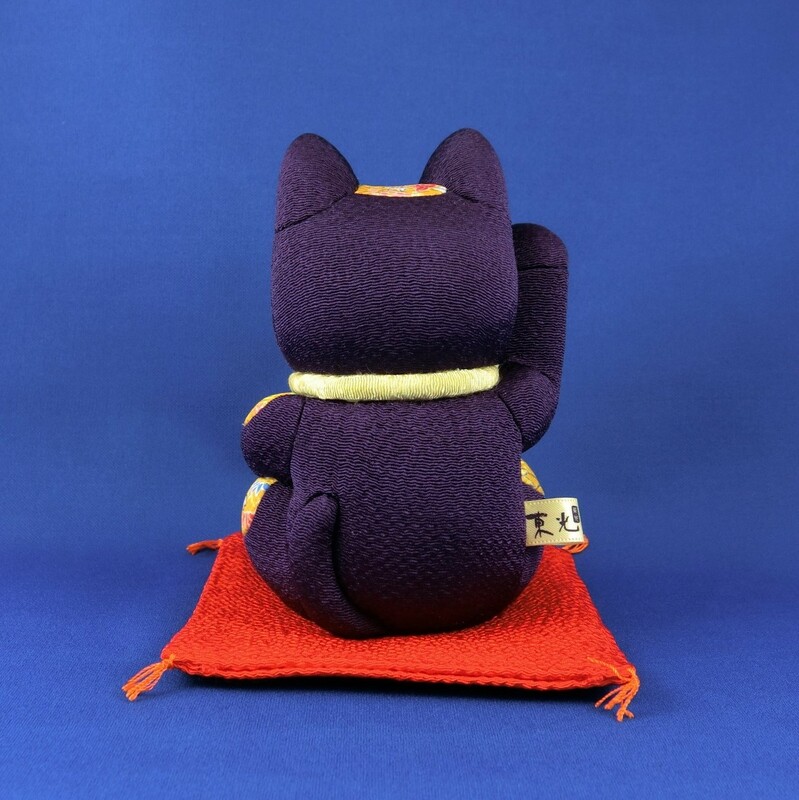 Its upraised paw ushers in good fortune, but its cute design and colorful patterns will also give you something to smile about. It is in the fine detailed areas like the cat’s nose, mouth, eyes, and tail as well as the combination of fabric patterns that the sensitivity of the artisans comes through. ‘Kimekomi’ is the method of inserting cloths into the 1-2 mm grooves lines with special tools, traditionally onto a mold wood, in order to dress the dolls. 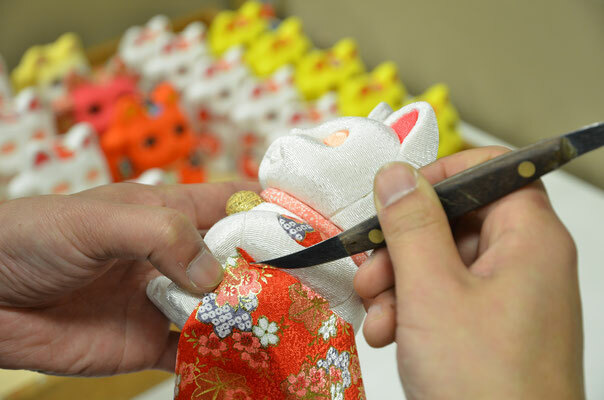 First, lines are carved into the wooden or wood compound base of the doll. Glue is applied into those grooves, and pieces of fabric carefully selected and cut to match each section are laid over their corresponding section. 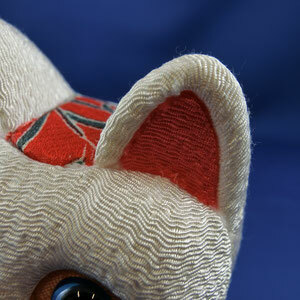 The edges of the fabric are neatly tucked into the grooves with special skill to ensure no wrinkling of the fabric. 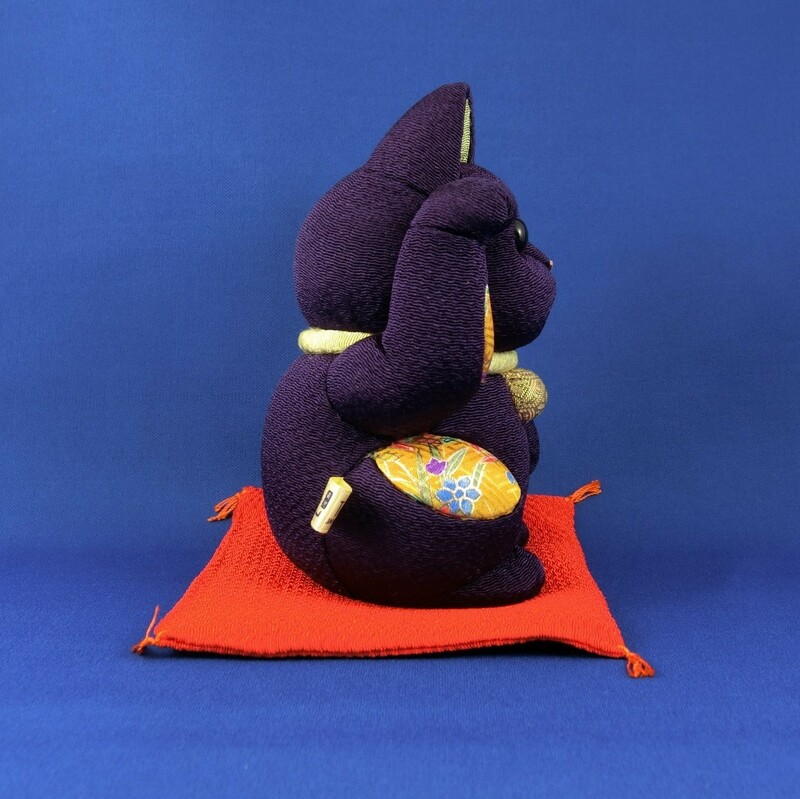 Whereas “Dressed dolls” is put many costumes on its body, "Kimekomi doll” is made from Paulownia wood and molded by Toso Glue (clay). 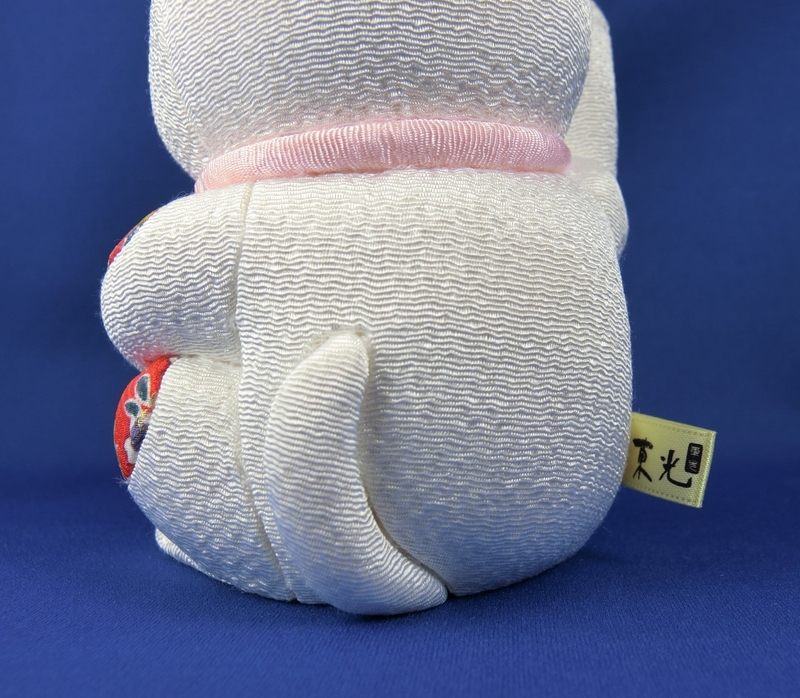 The Kimekomi method makes the doll’s costumes fit snugly around the torso, so the doll has beautiful body silhouette and shows body movement clearly like human being. 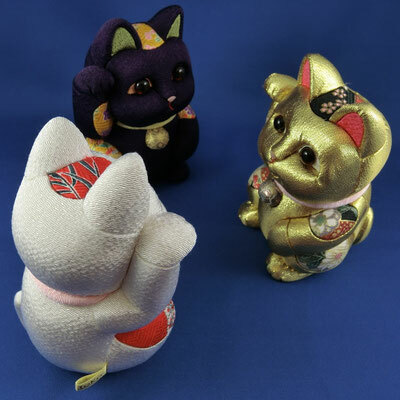 The history of Kimekomi-dolls stretch back to mid-Edo Period (1600-1868). 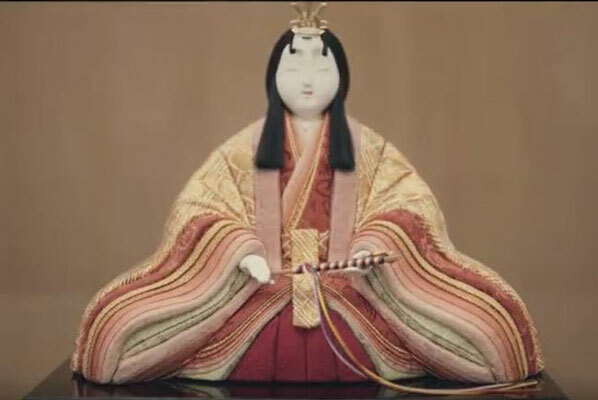 A priest called Takahashi Tadashige is said to have been very proud of a small wooden doll that he had carved from scraps of willow which were left over from a ritual boxes used in a festival at Kamigamo shrine in Kyoto. Then using remnants of fabric from his priest's clothing, he dressed the doll by inserting the ends of the fabric into the wooden torso. At first, they were called "Kamigamo dolls" after the place where they were made. 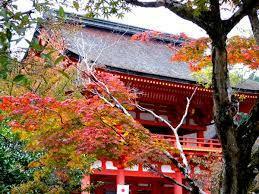 Afterwards, the name of "Kimekomi" is delivered from the way that the fabric was inserted into slits in the wood, and the name stuck. 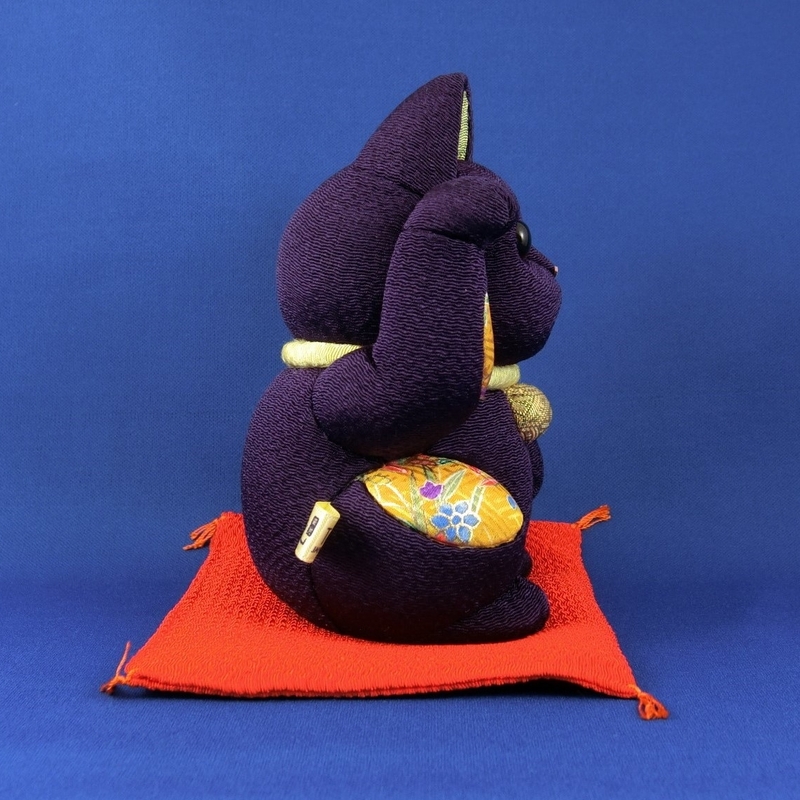 "Ki" means wood, "Mekomi" refers to the technique that is used to stuck the fabric into the grooves on the doll's body. Subsequently, they were brought to Edo (Tokyo) where the craft "Edo Kimekomi-Doll" became established. 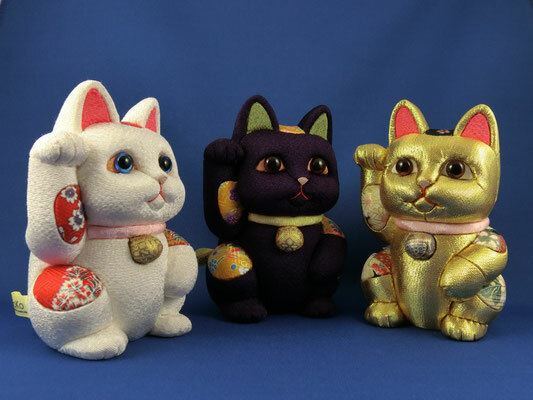 Now these dolls are made in a mold using a mixture of paulownia wood saw dust and a wheat starch glue and enabled to from the doll's shape more freely. When they are hard, grooves are chiseled into the torso and the raw ends of the fabric are jammed into them to dress the dolls. 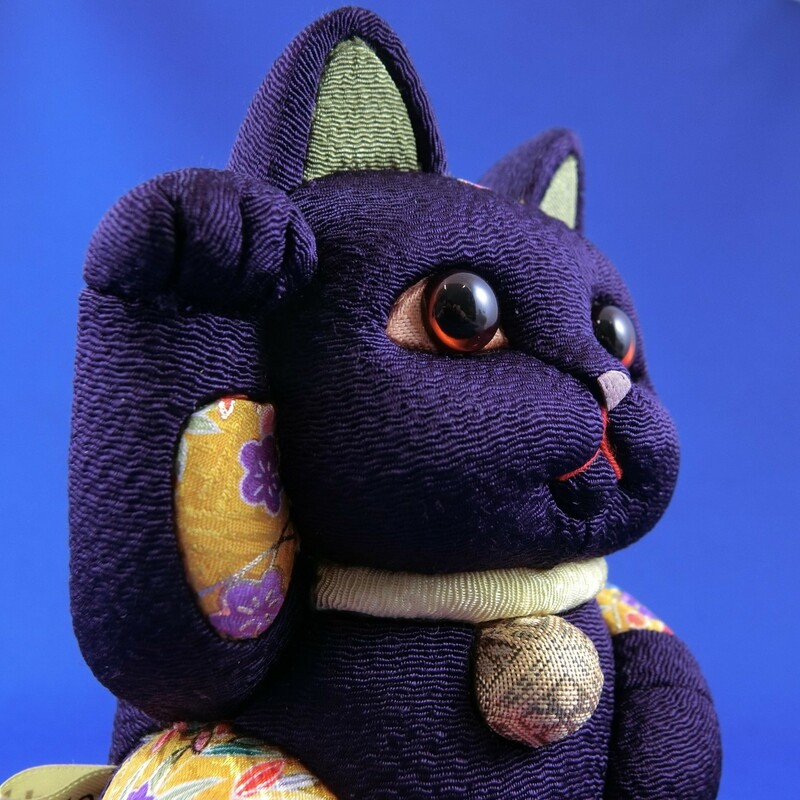 A number of highly appeal dolls are still made, including representations of well-known Kabuki characters, popular figures from town and country and most prominently, dolls for the seasonal Hina Masturi in March and warrior dolls for Children's Day in May. 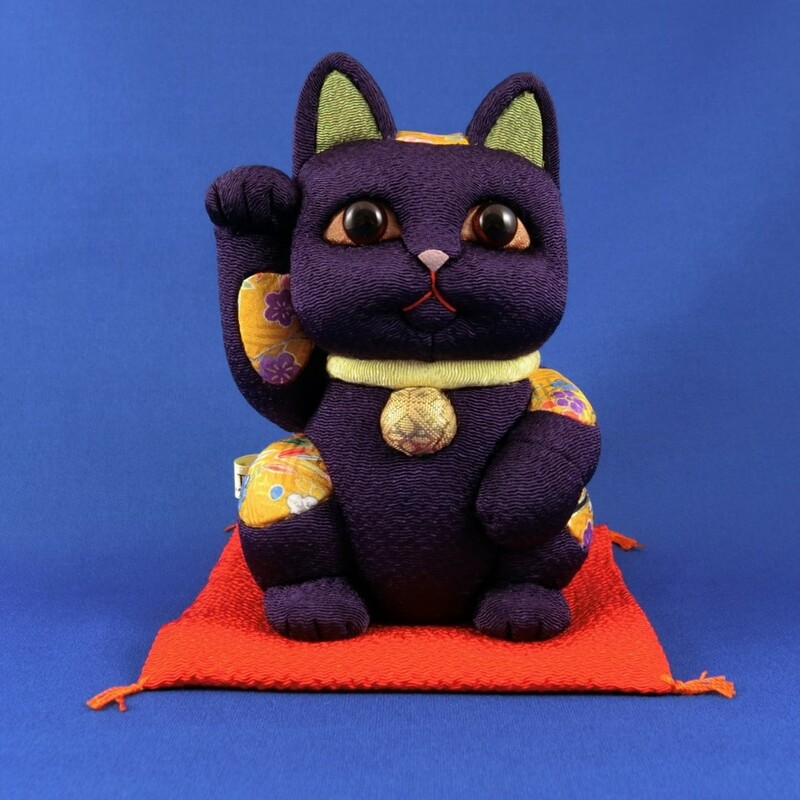 Today, Edo Kimekomi-Doll is designated as "Traditional Crafts" by the Minister for Economy, Trade and Industry of Japan. Three kinds of color options are available in our online shop. 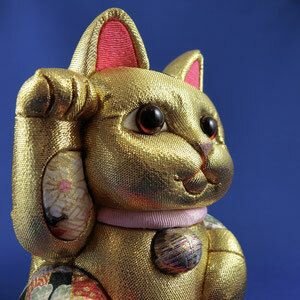 Raising its right paw, it is said that maneki-neko is beckoning economic prosperity. 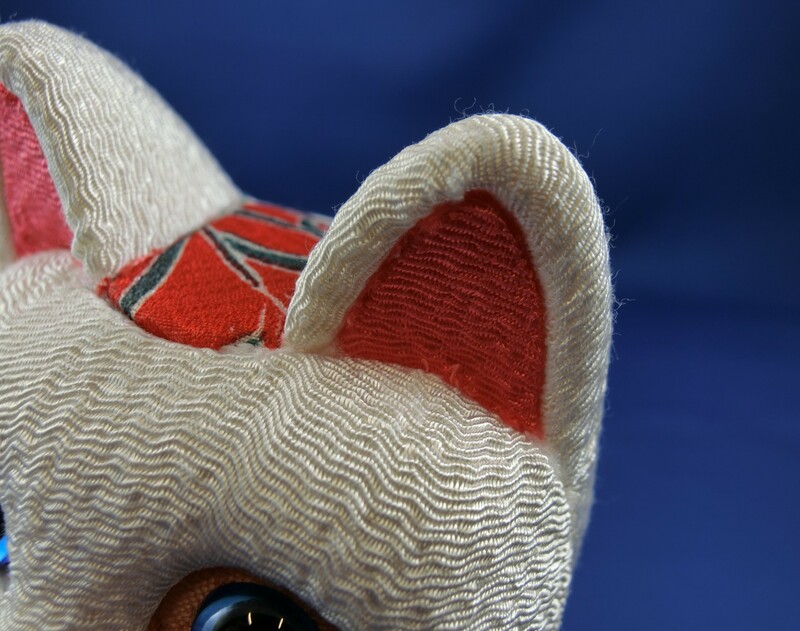 Depending on which fabric is used and how the fabric is applied, the patterning and final appearance will vary from cat to cat. Sizes and shapes of the actual products may slightly differ. An entirely new lucky cat made by using skills and techniques cultivated in doll crafting. 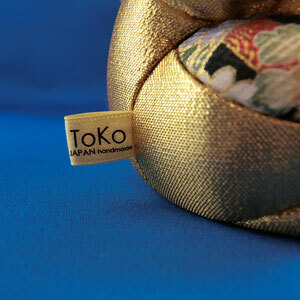 gold = wealth, prosperity and good fortune. 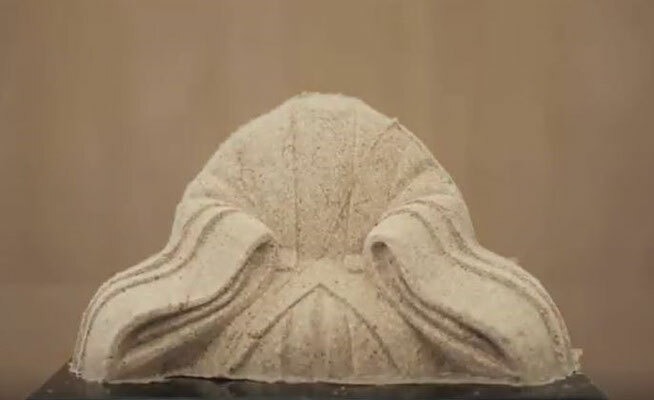 Diese Kimekomi-Dolls wurden in früherer Zeit aus Holz geschnitzt (heute ist es allerdings meist Kunststoff), dabei werden rund um den Körper Rinnen geschnitzt. Die Stoffe werden dann auf das Holz aufgeklebt, wobei die Ränder der Stoffteile in die vorgefertigten Rillen fest eingepresst werden. Alle Produkte werden von erfahrenen Handwerkern fertiggestellt. 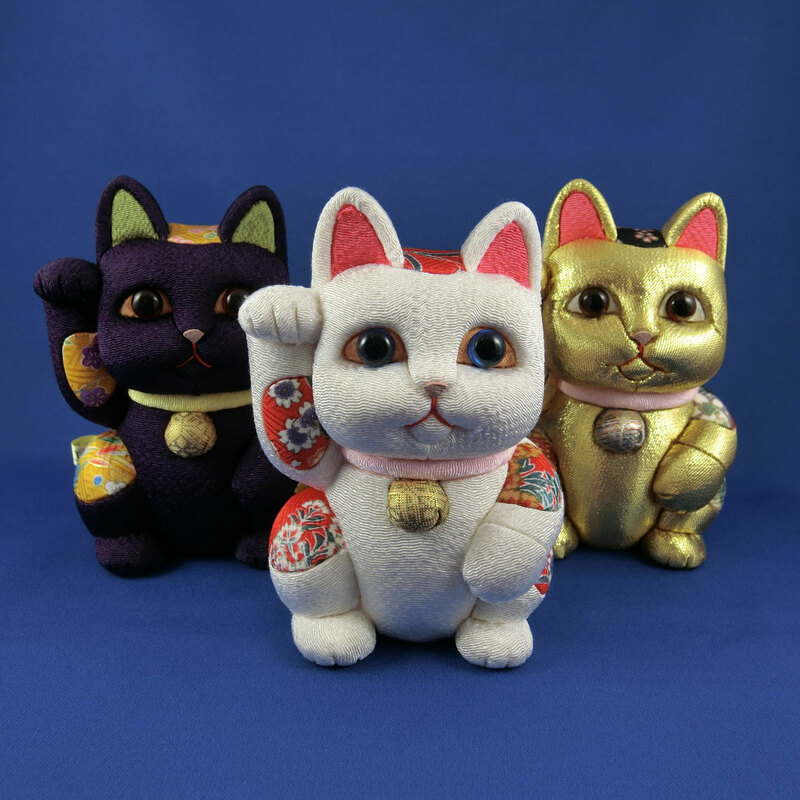 "Kakinuma Ningyo Co., Ltd." is a factory which handles seasonal doll such as hina-dolls, boy's festival dolls or samurai dolls, using by Edo Kimekomi doll making, founded in 1950. 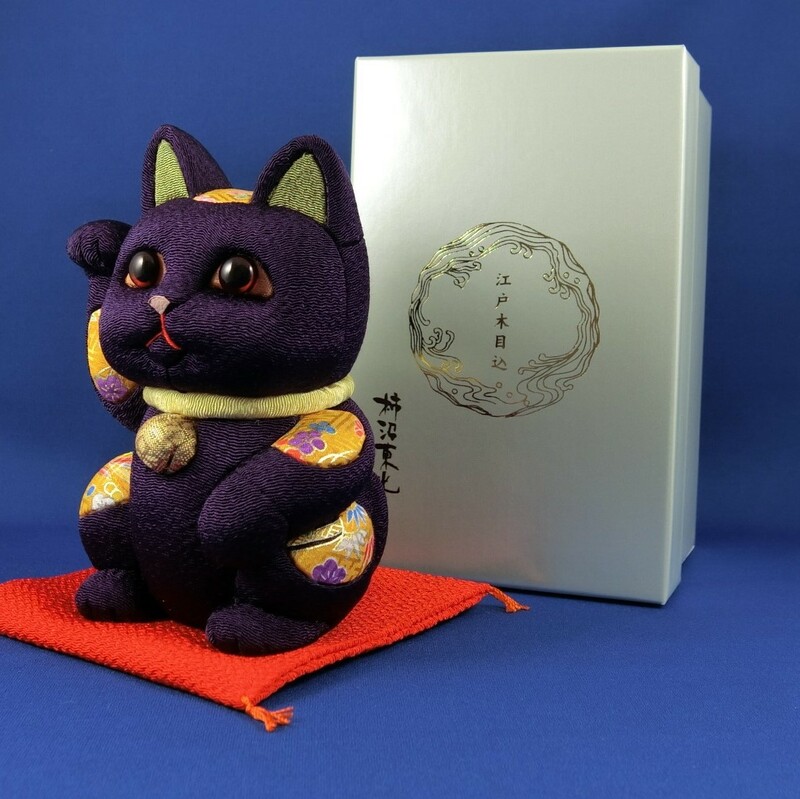 The “lucky cat” series born from the thought that “I want to increase the opportunity to adore the Edo Kimekomi doll not only by seasonal dolls but every day.” from the producer. And now, it become a trend in the world. 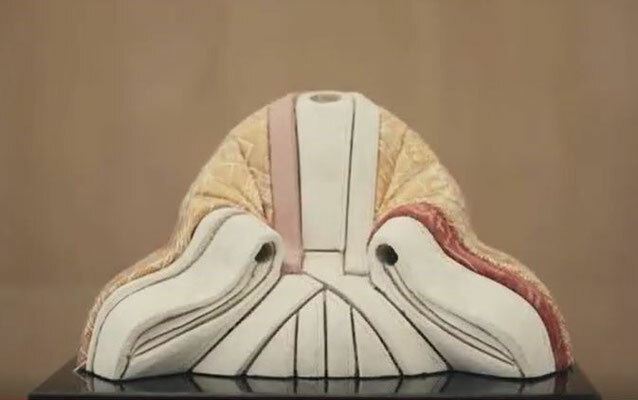 Kakinuma Ningyo is taking modern approach for Edo Kimekomi doll such as unique combinations of fabrics and new materials such as leather. On March 2016, Edo Kimekomi Maneki-neko dolls are submitted to German trade show and selected as an Ambiente Trend 2016 product. Toko Kakinuma, born in Tokyo in 1948 took over the 2nd generation of the Kakinuma Toko brand. 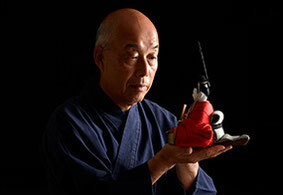 He is Dento Kougeishi (certified Traditional Craftsman), shines with honor as a creative doll. 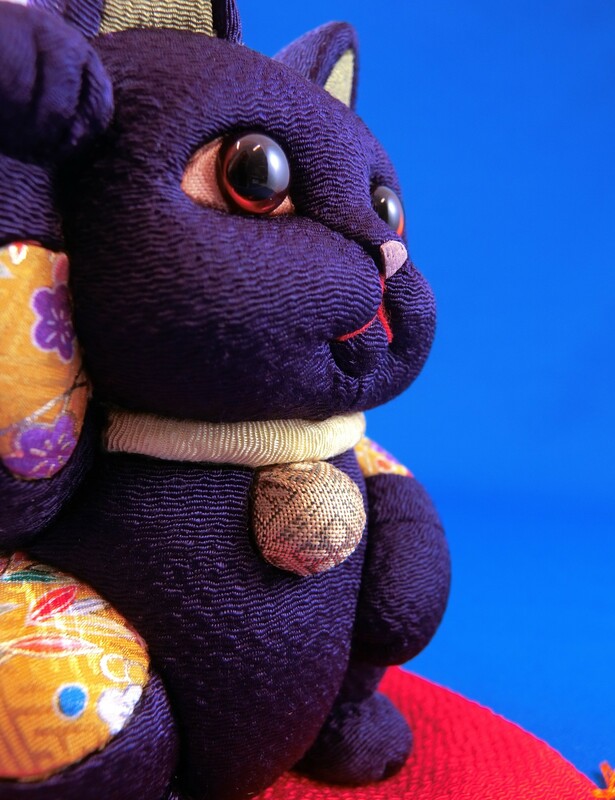 He always enjoyed making dolls since childhood, and started to learn under his father, "the first Toko Kakinuma" in 1974, and has been devoting to Edo "Kimekomi" doll ever since. Using the techniques such as mother-of-pearl, inlay, coloring nikoromo overlap, He is also working on the new style of dolls and keeps creating the dolls that are out of box and looking at the modern age.